Going green seems to be an ongoing trend with major organizations and corporations. Major League Baseball is one of those organizations. With the MLB set on making their stadiums “green”, they are hoping to influence their fans and the surrounding communities by setting the example. The Natural Resources Defense Council (NRDC) has teamed up with the ball clubs within the MLB to assist them in doing their part to protect our environment and stave off climate change. 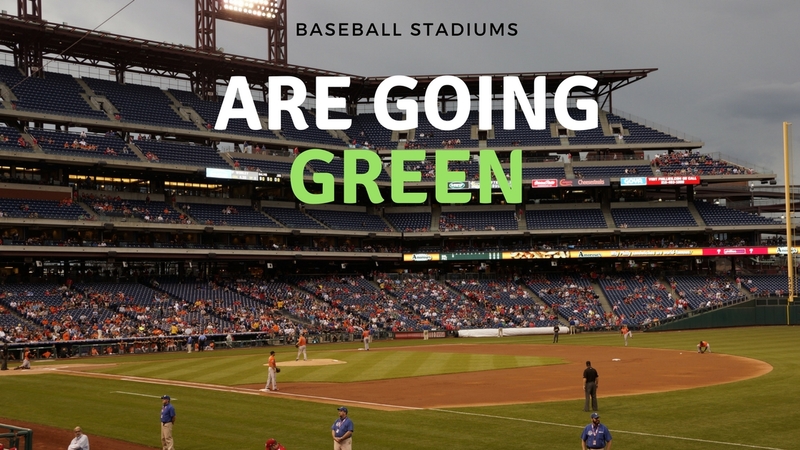 From installing solar panels, to investing in renewable energy, below is a list of only a few of many of the MLB stadiums that are keeping our environment clean with their green diamonds! The MLB turned their diamonds green to ensure their fans and employees are making sound environmental decisions that protect our natural resources for the future of their baseball fans. The NFL and NASCAR have also started making their stadiums and race tracks more environmentally efficient. Teams are beginning to partner with major energy companies to increase the use of renewable energy throughout their stadiums. Solar energy being used in stadiums dates back to 2007, and has since become one of the most popular ways to conserve energy in stadiums, arenas and race tracks across the United States. Going green is beneficial not just for our environment, but it saves money and ensures our natural resources will be available for years to come!